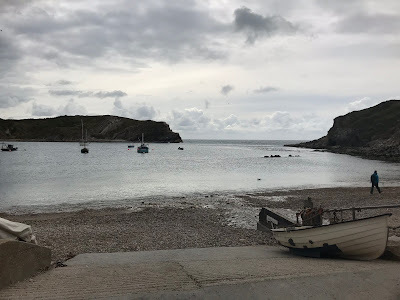 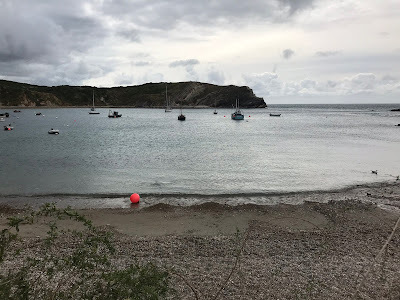 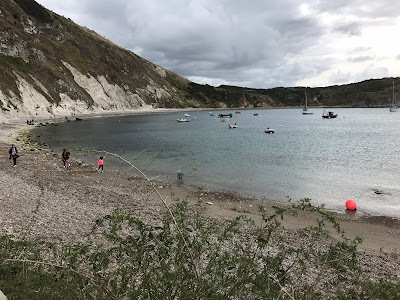 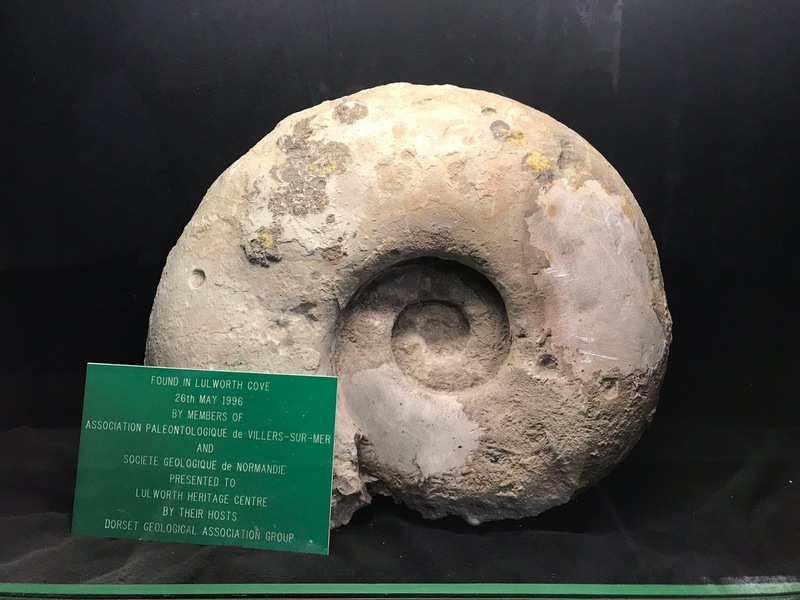 The children managed to find lots to moan about on our trip to Bournemouth, well the teenagers anyway, but even they were taken in by their happy memories of Lulworth Cove the last time we came here. 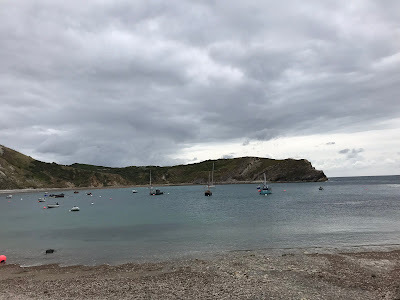 They remembered the art everywhere, the lovely little shops and the man who painted seashells in beautiful, bright gem-like colours by the cove – I bought them one each and they treasured them for years. 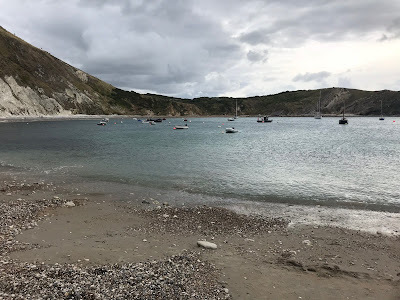 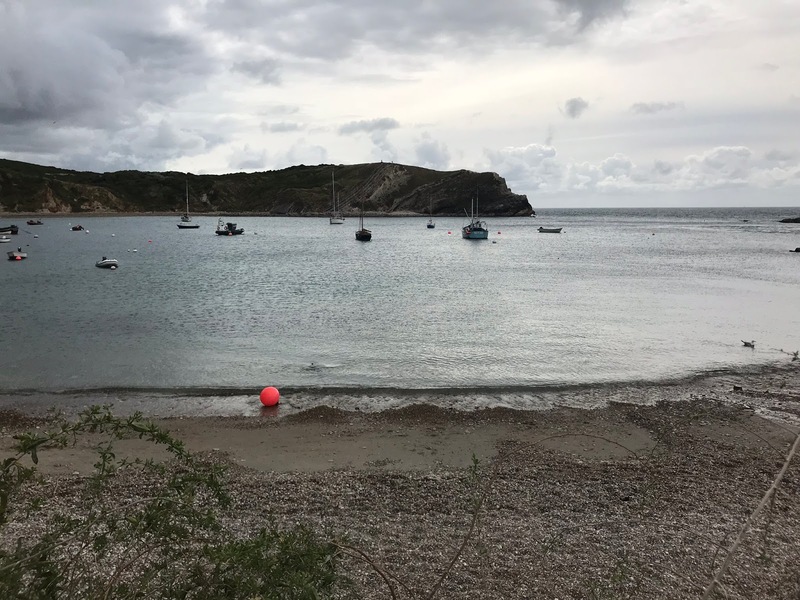 For all of these reasons, they stopped moaning and actually looked forward to our day trip to Lulworth Cove, despite all five of them getting car sick. 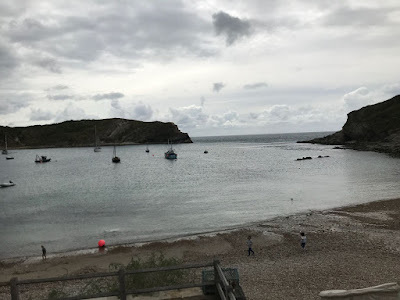 The little village leading up to the cove is full of small shops selling both useful and touristy things. The visitor centre is big, with good toilets and exhibits about the area and how the cove was formed. The cove itself is a pebbly beach with a beautiful view out to the sea. 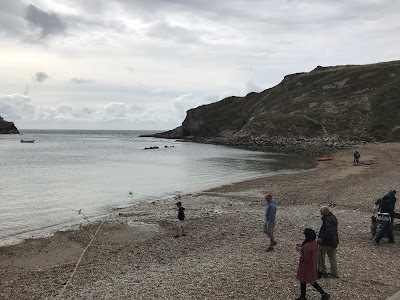 The walk around the cove is pleasant, with the hike up the side only slightly challenging, the kids enjoyed clambering up and back down again behind their dad and grandfather. 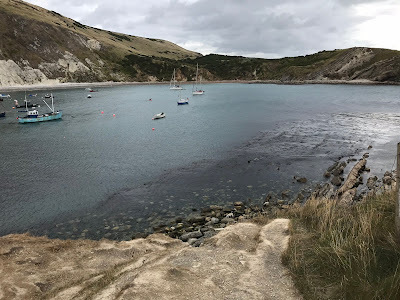 A very beautiful place, with lots of little shops to explore and good for pleasant walks, Lulworth Cove is also good as a starting point to climb up to Durdle Door, another nearby beauty spot, if your legs can take it. 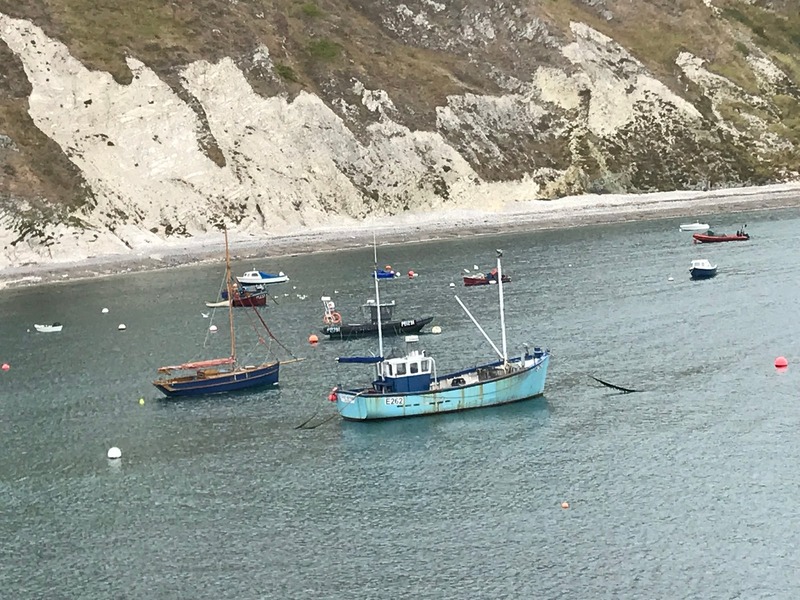 If they can’t, you can drive to a closer car park and walk from there.